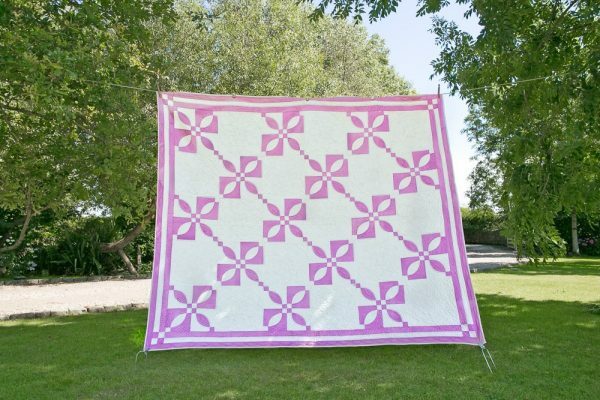 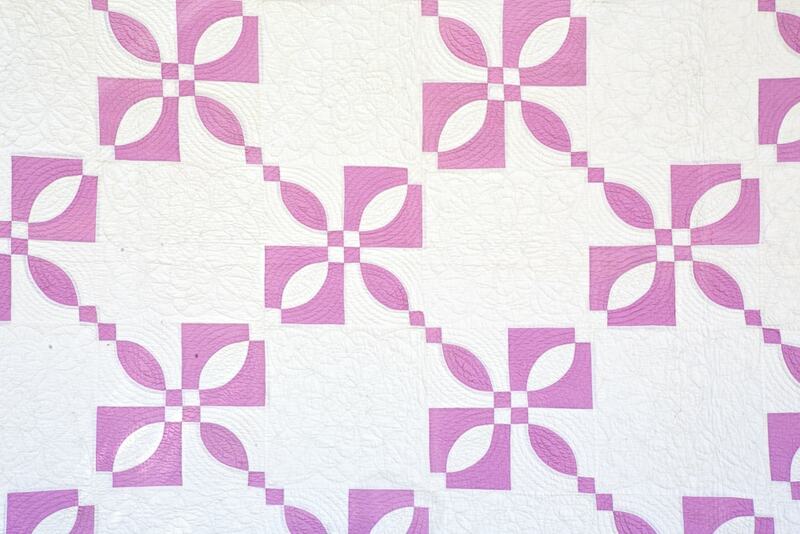 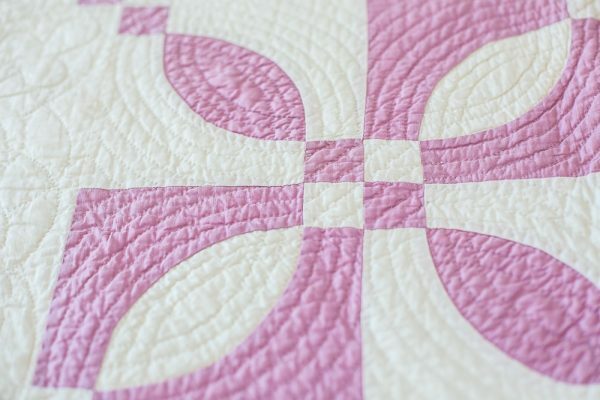 Stunning 1930s Lovers Knot quilt in lilac and ivory. 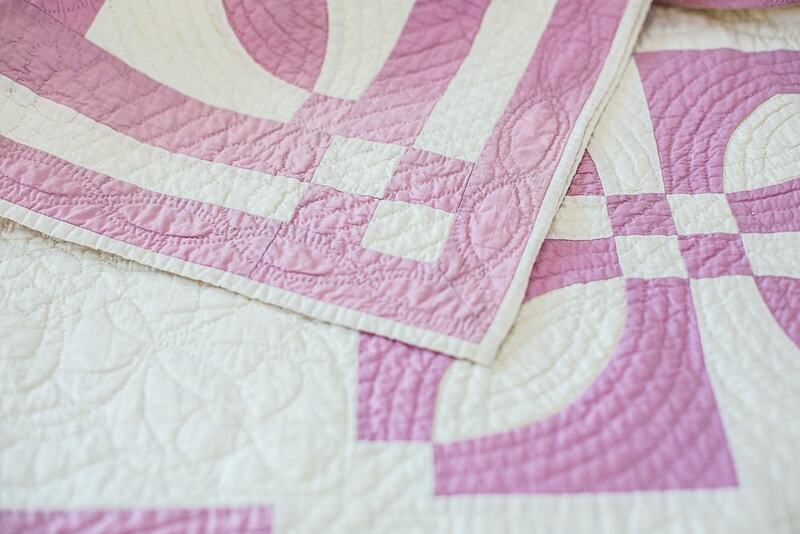 Features endless chains of outstanding hand-quilting hand stitched at approximately 6-8 stitches per inch. 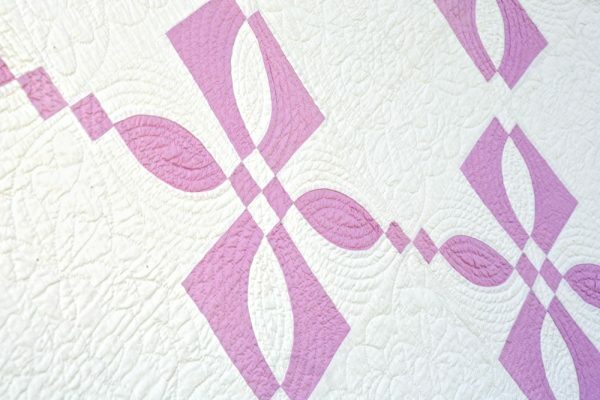 The ivory reverse displays detailed hand-quilting, and the small ivory trim measures ¼ inch. Mint condition. Approx. 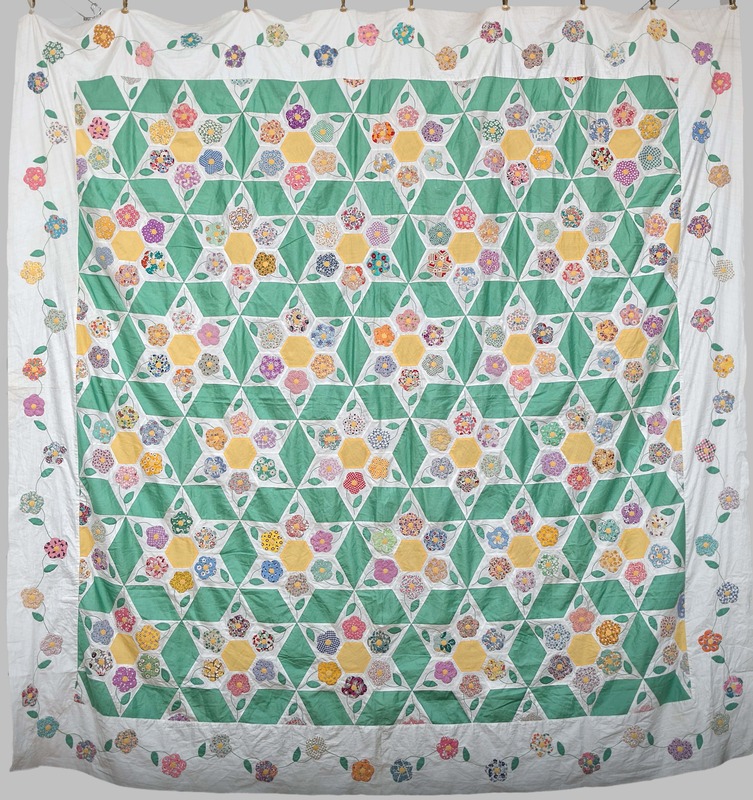 71 ½ x 85 inches/ 181.5 x 216 cm.